PTAS welcomes new members to our expanding team. When customers, suppliers and others are working with us you may meet some other people who proudly work with us. 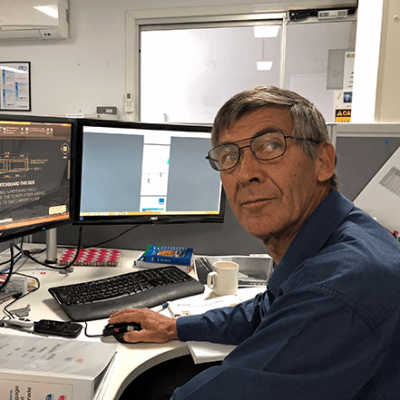 A senior electrical estimator and project manager with over 35 years of experience in the construction of large D&C, heavy industrial and infrastructure projects, including wind farms, solar energy, civil projects, HV utilities and control stations. Experienced Project Manager with a demonstrated history of working in the mining & energy industry. 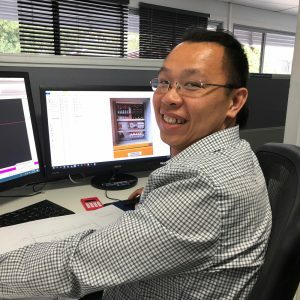 Skilled in Computer-Aided Design (CAD), Project Finance, Electrical Panel Design, Electrical Industry, and Project Coordination. 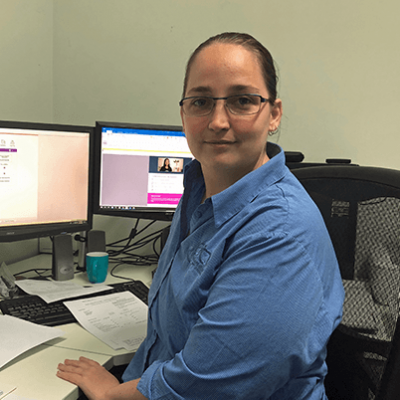 Strong project management professional with a Cert III Electrotechnology focused in Construction Trades. An experienced manager of engineering design and controls projects. 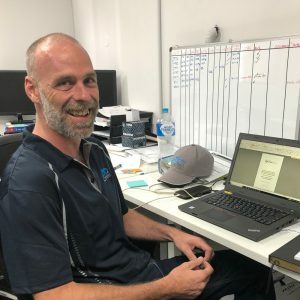 His consistent quality leadership of turnkey electrical control projects draws on his foundation training in trade and engineering in the highly automated automotive manufacturing industry with Rover, BMW and Honda in the UK. Degree qualified [RPEQ] Electrical Engineer with 16 years’ experience as an electrical engineer in diverse fields of design activities; with 12 years focus on large scale international projects in the field of oil and gas and 4 years working with PTAS in design of electrical switchboards and control cabinets mainly for water and waste water industries. An industrial electrician and experienced drafter. Has worked with switchboard construction for many decades. Qualified and extensively experienced in design of Cubic systems. Experienced LV switchboard designer, estimator and technical sales engineer with extensive knowledge of automation and motor control systems. Has managed projects and technical teams for over 10 years to deliver systems into industrial, infrastructure and commercial applications. Enthusiastic and experienced electrical designer who has a wealth of experience in design proficiency, drawing preparation and liaising with clients in a multitude of projects over a number of industries. These include, but are not limited to, local government waste and water, chemical and coal industry, government health, power station and solar energy. 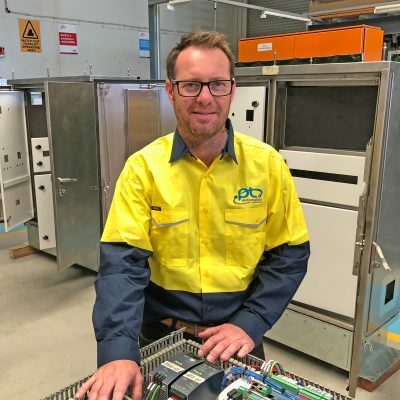 A highly organised and motivating leader in the electrical manufacturing industry; an electrical fitter by trade, with 12 years military service in the Royal Australian Navy. 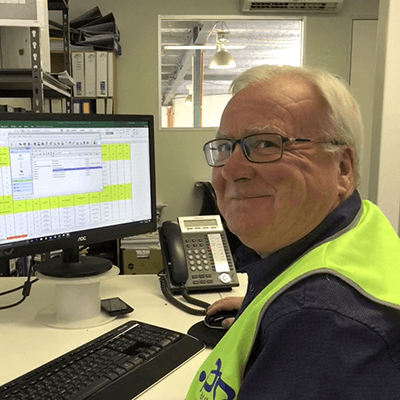 Takes responsibility for delivering quality switchboard production on time and on budget. 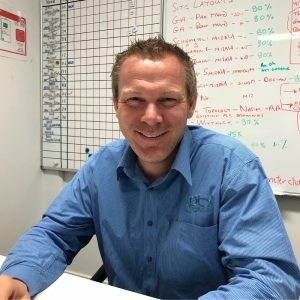 Extensively experienced and qualified Safety, Environmental, QA and Rehabilitation practitioner, based on his practical electrical trade knowledge. 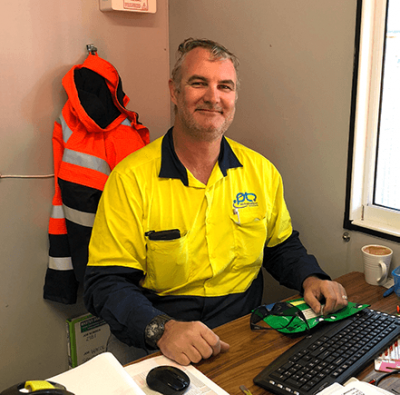 Mick provides internal independent oversight of all components of our SEQCD|P Intergrated Management System and our innovative QR-OCSS. 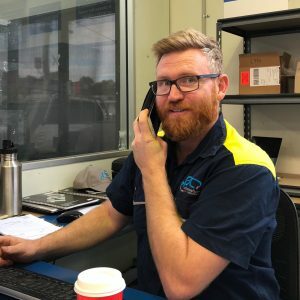 Originally a fitter & turner from country NSW that was attracted into electrical trade and since gained extensive experience with industrial control solutions. Provides a sound knowledge base of industrial applications. 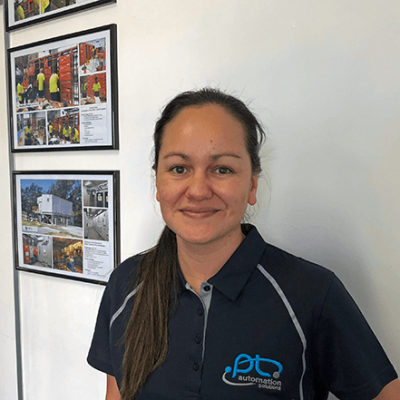 A dual tradesman apprenticed at PTAS and since become a well-recognised leader with strong interest in quality assurance. 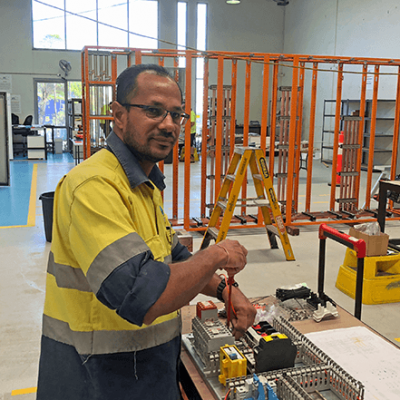 Completed his electrical trade in Fiji and since qualified in Australia. Has structured cable licence and has an extensive background in data and PLC controls. 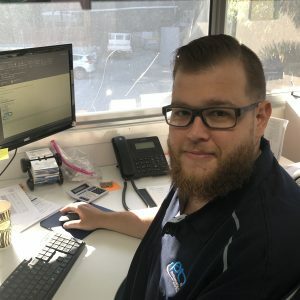 Roland is a highly regarded, well-qualified [RPEQ / CPEng] Electrical Design and Project Engineer grounded on an electrical fitter mechanic trade background. His trade background provides unique viewpoint to ensure solutions are practical and readily delivered by construction teams. 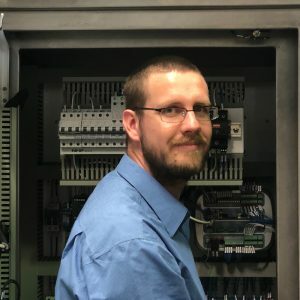 He’s worked closely with PTAS on many projects over the past few years, notably on the R&D of our unique and award winning ‘ABCD’ Arc Fault Containment modular outdoor switchboard. 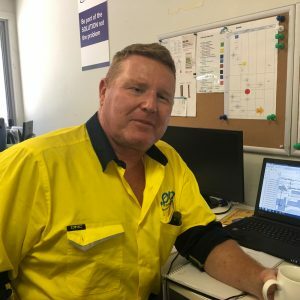 Daniel is an accomplished electrical industry professional with an impressive 27-year career within a myriad of construction and industrial settings on medium to large scale projects. 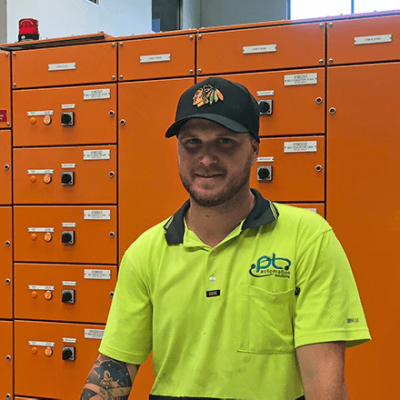 Daniel is a qualified A grade electrician with proven ability to oversee and execute multifaceted projects with large teams and complex logistical challenges. 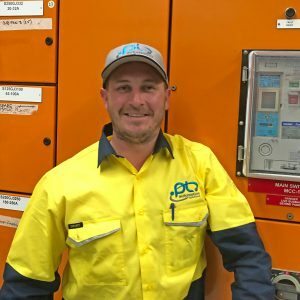 An Electrical Construction Manager with +10 years post trade experience on industrial, commercial, civil construction and maintenance projects across the oil and gas, civil infrastructure, mining and commercial building sectors, within Australia and the UK. 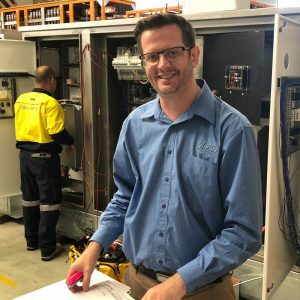 An Electrical Construction Manager with both professional and trade qualifications together with over 10 years design and construction experience in industrial, commercial, civil construction and maintenance projects across the oil and gas, civil infrastructure, mining and commercial building sectors, within Australia. 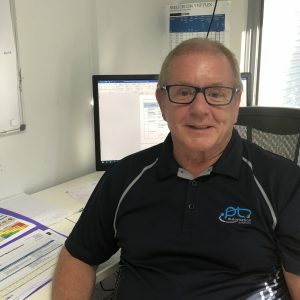 An extensively experienced Electrical Construction Manager with trade qualifications and 40 years working primarily in industrial and water industry pumping stations. He runs a well planned disciplined worksite built on comprehensive documentation and well exectuted delivery. Managing site safety and environmental risks is a high priority. 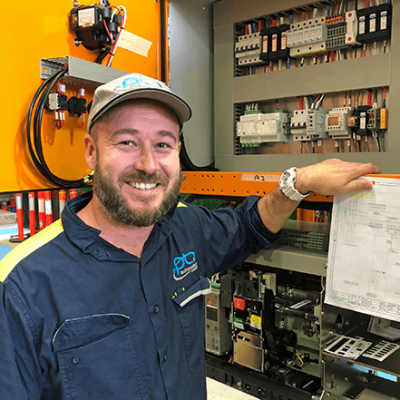 An experienced electrical contract supervisor and hazardous area electrician, who is very familiar with installation of ELV, LV and HV controls, in infrastructure and heavy industrial applications. Very focused on quality assurance, safety and efficient construction processes. Depth of experience across a range of front line business admin functions. Leigh is most often the first point of contact with PTAS. 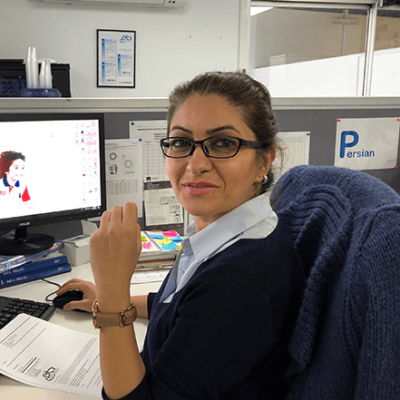 Her responsibilities includes accounts payable, support of our site teams, HR and external stakeholder relationships. An experienced purchasing officer in the procurement of electrical engineering products and services. Brendan also coordinates inventory store and our project management reporting system. 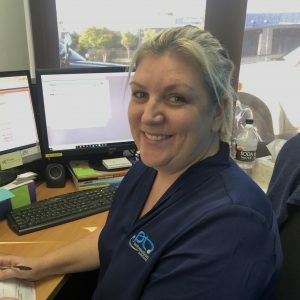 Many years of experience in bookkeeping and accounts administration. Responsible for day-to-day business administration and internal focused clerical activities through the accounting cycle.